Texas Disc Jockey DJ Insurance. If you offer your services as a disc jockey or own a DJ business, then you know that while the party is going on, there's lots of stuff that can go wrong. Music and fun tend to go hand in hand, but when you attend events and use your own equipment, things can go sour quickly. Expensive equipment is difficult to replace, especially if you don't have the proper DJ business insurance in place. Each time you set up your equipment, move your equipment, turn on your fog machine, or even set up a laser show for an event, you are facing liability risk. You can lose your equipment, it can be stolen or damaged, or you can even end up in a liability lawsuit when someone claims that you've endangered them or caused them harm. The venue can also file a liability suit against you if it believes that you caused physical damage to the property. Texas disc jockey DJ insurance is important not only to meet venue requirements, but to keeping your business afloat and protecting yourself from the inherent risks that you face. Texas disc jockey DJ insurance protects your entertainment business from legal liability with rates as low as $27/mo. Get a fast quote and your certificate of insurance now. Most DJs own expensive equipment, including items such as turntables, CD players, sound systems, laptops, headphones, microphones, cables, and mixing equipment. You may also own expensive speakers or amplifiers or combos that offer both. No matter what type of equipment you own and what equipment you need to protect, it is vital that you protect the monetary investment you have in your gear. Simply replacing the items can prove to be a financial hardship, but you need the equipment for the events you host. 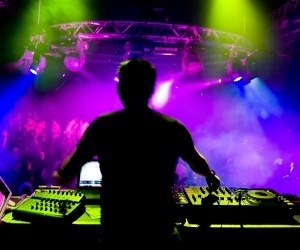 The right Texas disc jockey DJ insurance policy can be a godsend when it comes to keeping your business going forward. Third-party lawsuits are common against DJs who cause property damage or bodily injury to event attendees. This might occur when you set up at an event or facility and cause accidental damage or injure someone, such as breaking a fixture in a club while moving your DJ equipment within the facility or when a laser show causes a seizure in an event attendee. Paying these liability costs out of pocket can put a huge financial damper on your business' financial health. Replacing or repairing property or paying medical cost can be exorbitant. Often venues will have it in their requirements for you to have general liability. Protect the equipment that you take from place to place while the equipment is in transit with inland marine insurance. This type of Texas disc jockey DJ insurance protects your equipment between locations when you go to different private events and clubs on the same or different days. This means that you gear is protected from both damage and theft while in your van and in the club or venue. If you work a lot of private events such as parties or weddings, then it is essential that you purchase and maintain your own Texas disc jockey DJ insurance liability coverage. Extensive and comprehensive insurance can make a big difference if the unforeseen happens. The cost of your Texas disc jockey DJ insurance policy as a DJ varies widely between companies and is based on the value of the gear you own. Work with an commercial agent to find the right level of Texas disc jockey DJ insurance coverage for your business and also to get multiple quotes from different insurance companies. Your agent understands the nuances of the profession and can recommend the right level and type of insurance based on your particular insurance needs and the budget that you have available for insurance. 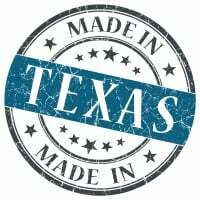 Request a free Texas Disc Jockey DJ insurance quote in Abilene, Allen, Alvin, Amarillo, Arlington, Austin, Balch Springs, Baytown, Beaumont, Bedford, Benbrook, Big Spring, Brownsville, Bryan, Burleson, Carrollton, Cedar Hill, Cedar Park, Cleburne, College Station, Colleyville, Conroe, Coppell, Copperas Cove, Corpus Christi, Corsicana, Dallas, DeSoto, Deer Park, Del Rio, Denison, Denton, Duncanville, Eagle Pass, Edinburg, El Paso, Euless, Farmers Branch, Flower Mound town, Fort Worth, Friendswood, Frisco, Galveston, Garland, Georgetown, Grand Prairie, Grapevine, Greenville, Haltom City, Harker Heights, Harlingen, Houston, Huntsville, Hurst, Irving, Keller, Kerrville, Killeen, Kingsville, Kyle, La Porte, Lake Jackson, Lancaster, Laredo, League City, Leander, Lewisville, Little Elm, Longview, Lubbock, Lufkin, Mansfield, Marshall, McAllen, McKinney, Mesquite, Midland, Mission, Missouri City, Nacogdoches, New Braunfels, North Richland Hills, Odessa, Paris, Pasadena, Pearland, Pflugerville, Pharr, Plainview, Plano, Port Arthur, Richardson, Rockwall, Rosenberg, Round Rock, Rowlett, Sachse, San Angelo, San Antonio, San Benito, San Juan, San Marcos, Schertz, Seguin, Sherman, Socorro, Southlake, Sugar Land, Temple, Texarkana, Texas City, The Colony, Tyler, University Park, Victoria, Waco, Watauga, Waxahachie, Weatherford, Weslaco, Wichita Falls, Wylie and all other cities in TX - The Lone Star State.